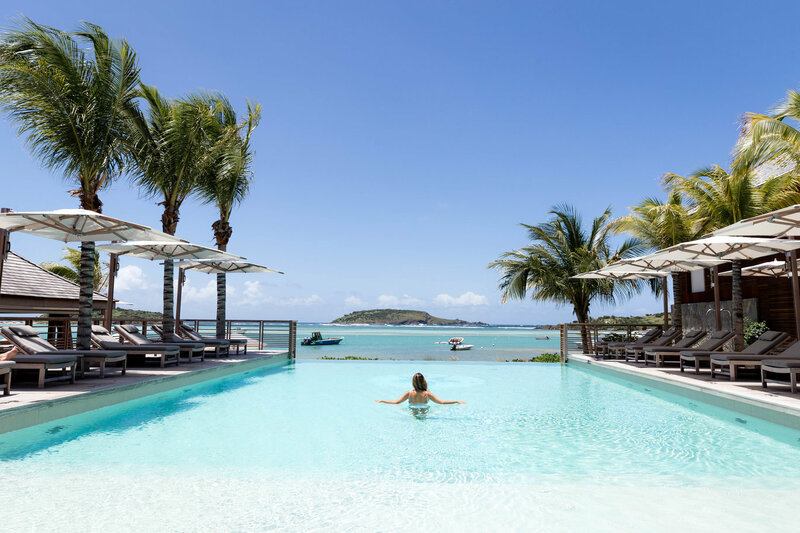 Newly opened in the fall of 2016, Le Barthelemy Hotel & Spa has raised the standard of elegance and luxury even higher in one of the most prestigious islands in the world preferred by the wealthiest as one of their top holiday destinations – St Barth. 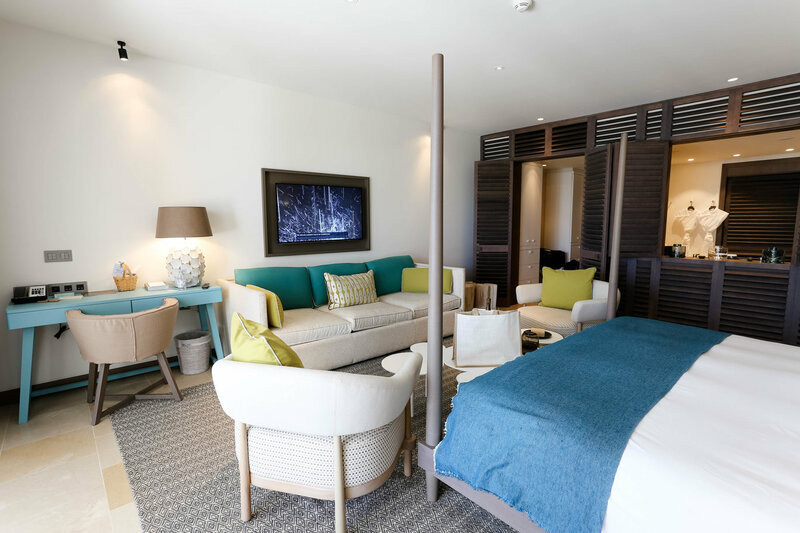 Being the first newly built hotel in St Barth in the last 20 years, Le Barthelemy will transform your Caribbean getaway with its contemporary and luxurious design and amenities. 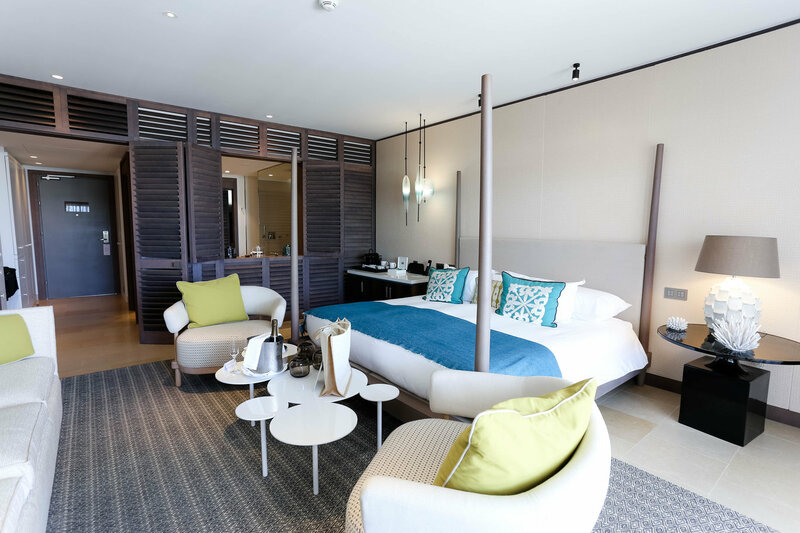 With this modern, elegant, and top of line property, you no longer need to compromise luxury in order to experience the magic of the Caribbean. 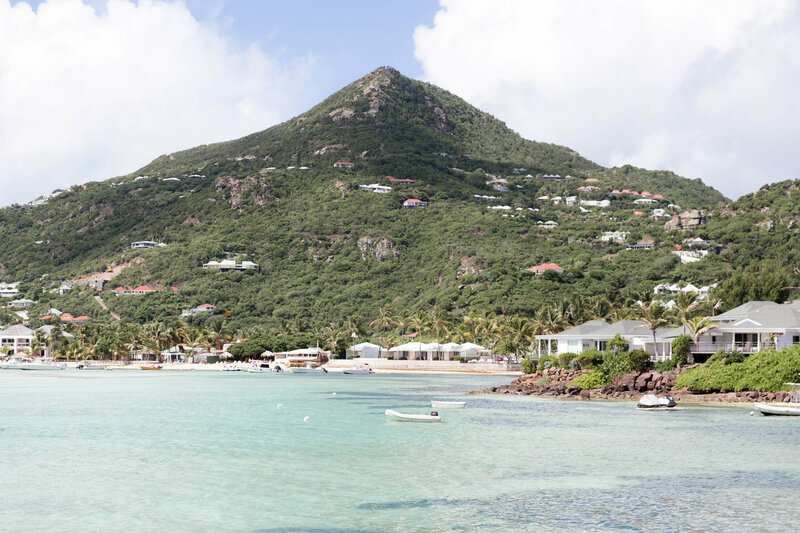 Choosing how to fly to St Barth can be a bit tricky as most commercial airlines don’t offer direct flights to the island for one main reason -the airport in St Barth has one of the shortest runways in the world meaning that only certain aircraft and pilots can land here. The easiest route is to fly to St Maarten and take a 45 min ferry ride or a short flight. 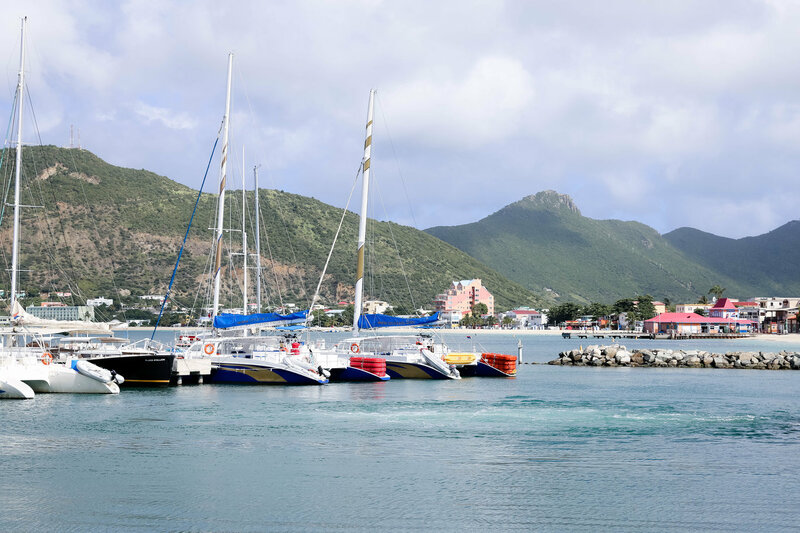 We opted for the former and took a direct flight to St Maarten, spent the night, and took the ferry to St Barth early morning the next day. Just a little warning though, the ride can be quite choppy so it is not for the faint hearted. 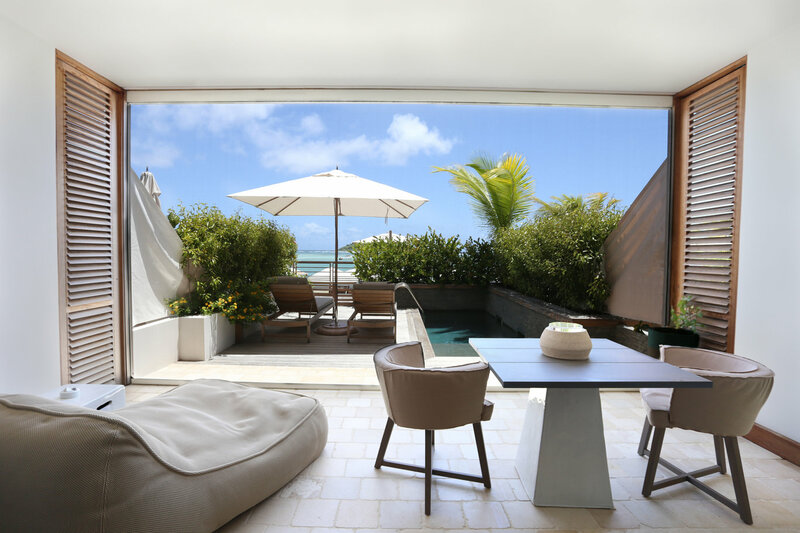 Just a quick 10 min drive away from the airport and marina, Le Barthelemy is situated on Cul-De-Sac Beach offering views to endless shades of blue and aquamarine through out most of the property. Though along the beach just walking distance from the hotel you can find other restaurants, villas, and a few other hotels, the property is designed in a way that it feels almost completely private. 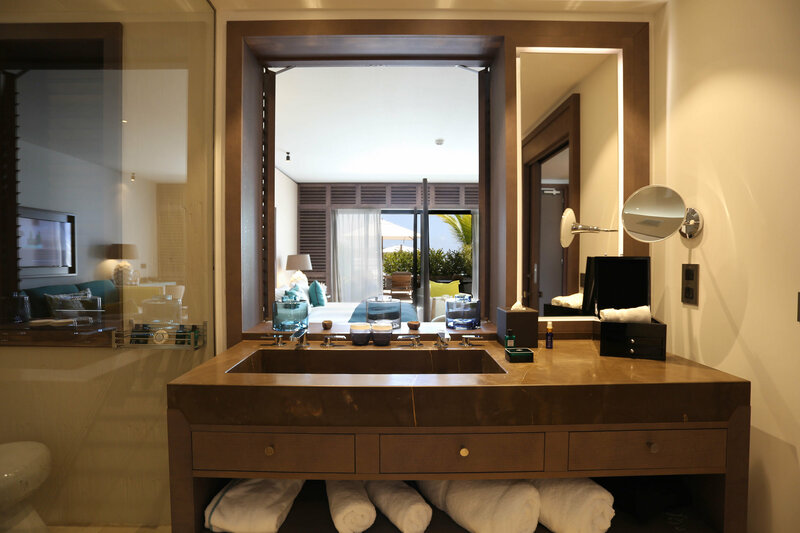 We were welcomed to one of their most luxurious suites the Océan Lux Piscine Privée. 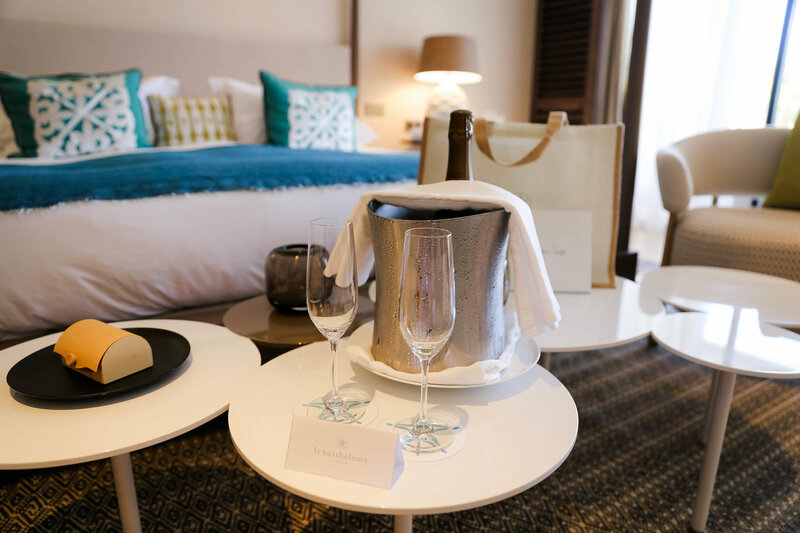 As soon as we stepped in, we did not believe we were still in the Caribbean as the room is so modern, contemporary and elegant. With a king bed, a living area, office desk, and oversized bathroom, the suite is very spacious yet inviting and has a homey feel to it. All the colors in the design have been hand picked to connect you with the surroundings- hence the green and blue accents. And one of our favorite parts, your own little oasis in your room. 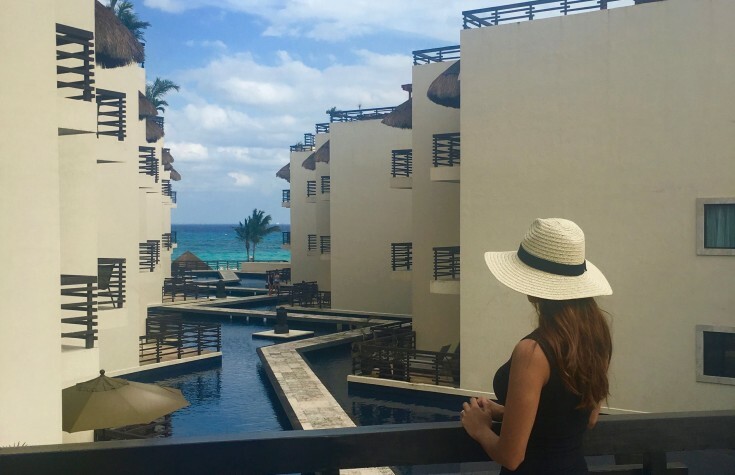 Yes, you have your own outdoor living area, plunge pool and sun beds overlooking the ocean with an exit that takes you straight to the hotels main pool or lobby. 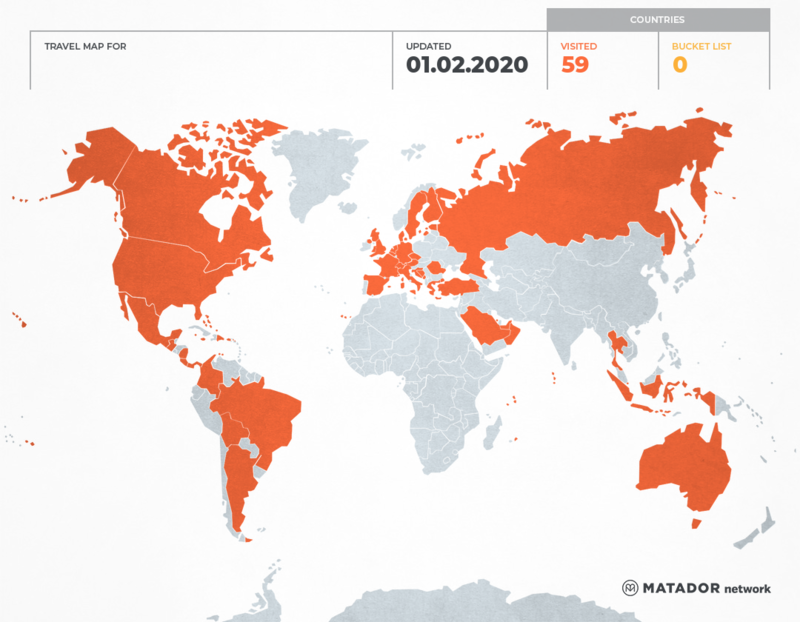 This is probably where you will be most likely spending most of your time. Trust me, just look at how beautiful the pool is and you will be convinced. Once you get in the pool, all you will want to do is hang out by the infinity edge, admire all of the shades of blue, bird watch, and watch all the kayakers, paddle boarders, and kiteboarders. 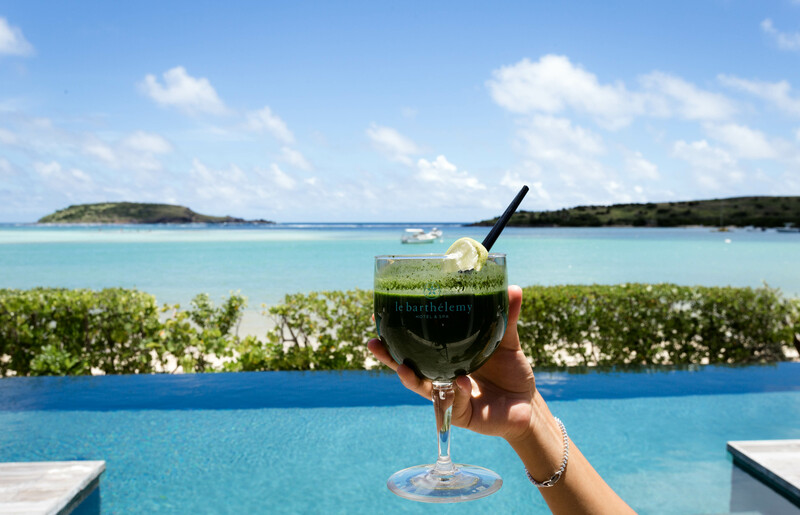 Order some fresh fruit and some fresh juices and just soak in the view. There is also a small spa and gym in the property if you are feeling brave or you can be like us and skip the gym and enjoy more outdoor activities such as paddle boarding, kayaking or snorkeling. All gear is free of charge for hotel guests and is provided in the Water Sports center. 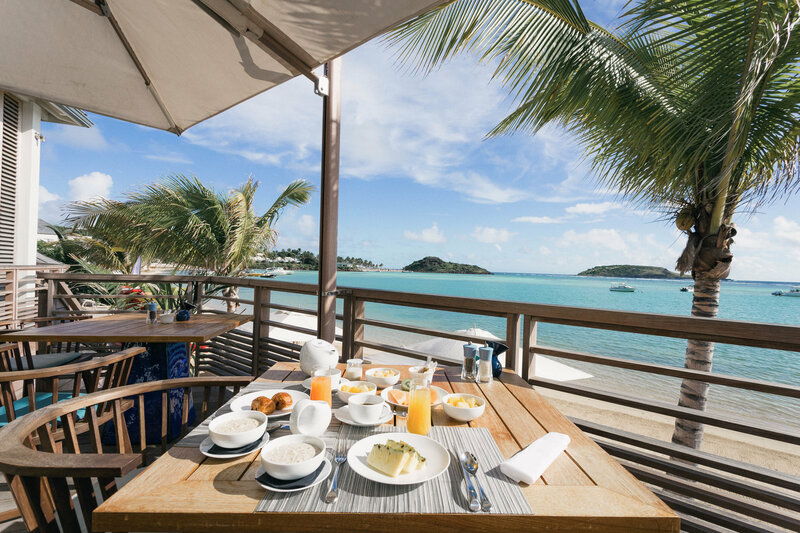 Villa Bleu and Villa Acqua are two identical beach front villas in Le Barthelemy. Each with 6 bedrooms- two of which are master bedrooms-, 55-foot infinity pool, state of the art entertainment center, and plenty of living area is perfect for big families or a group of friends. And when I say beach front, I mean beach front as in take one step down from your private pool and you are on the beach. 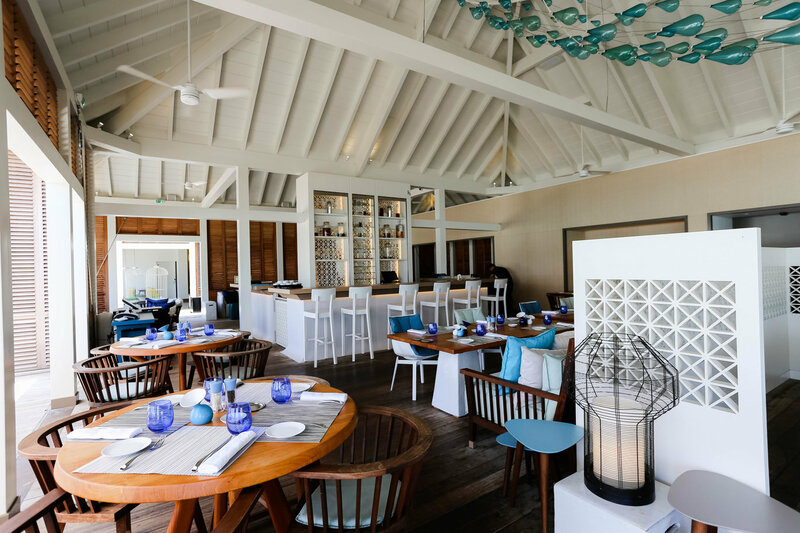 Le Turquoise and Aux Amis are the two places that you can dine in the property. The former, Le Turquoise, is the laid back and casual restaurant by the pool where you can get anything from cocktails, fresh juices, light snacks, and meals. They make a variety of fresh juices that I would highly recommend to try such as the Detox. 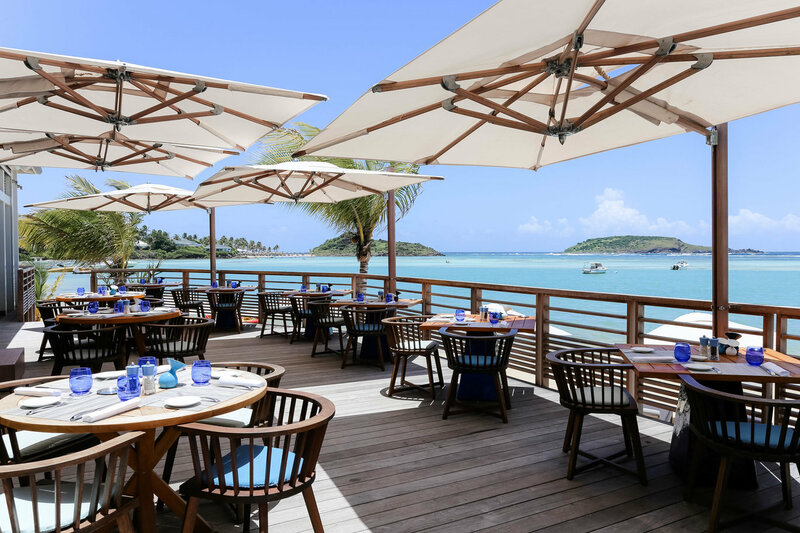 Aux Amis also offers a lighter and casual setting during the day, but at night offers more gourmet island-inspired French cuisine. For vegans and vegetarians, there are a few pizza options as well as my favorite – the penne pasta with red sauce. Though these are the only two options on the menu, the staff is more than happy to prepare a veggie meal for you based on what they have in stock. Disclaimer: Though this post is in partnership with Le Barthelemy Hotel & Spa, as always, all opinions are my own. Oh gosh, your room looks absolutely beautiful and it's so big. To have your own outdoor living area is just perfect. Where can I book?! Wow, this is really beautiful. You definitely had the fun of your life. 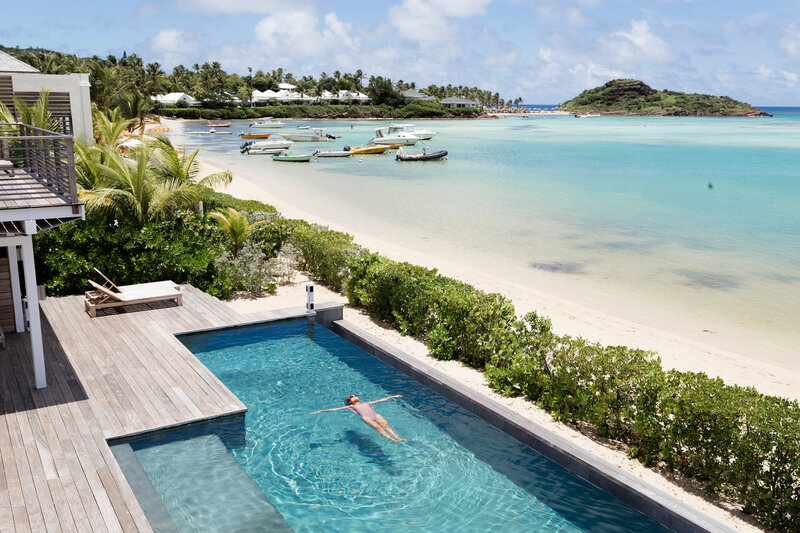 I have always wanted to go to St-Barth's. This looks like a real paradise. I bet you must have had a wonderful time! Oh my goodness, these photos are gorgeous and have me dreaming of a tropical escape. And what a huge, lovely bed!! Awesome! Like you say seems like they have raised the bar (hehe) for luxury living. I loved the idea of a small pool attached to the room. Good thing you chose the latter because I think I would be running ot be at this place. Looks so luxurious. This looks like such a dreamy destination! 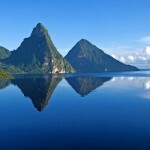 It's an island in the Caribbean I haven't visited yet, and I'd absolutely love to go. The ultimate in luxury! Those pools look dreamy! I took the ferry from Saint Maarten to Anguilla and it definitely can get choppy but is a lovely view! This looks like a stunning paradise. The water is so clear! What a great spot for a get-away. Oh gosh, your room looks really great! This is such a dreamy resort and I love the pool area. I would really love to stay here. This looks stunning. The part I would love the most is having my own outdoor space. 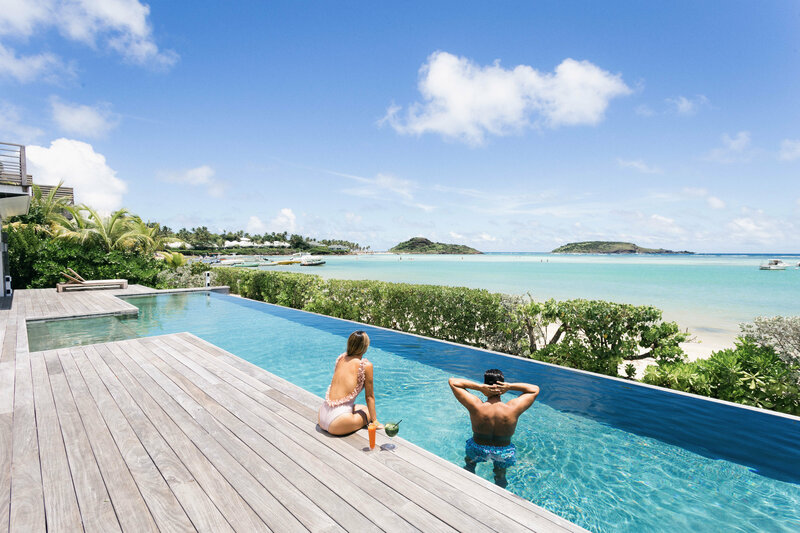 Oh WOW - Le Barthelemy Hotel & Spa looks incredible - especially the two villas which sleep 6 - I had this idea in my mind of the Caribbean as very homey, kind of ramshackle, beach living, but the luxury and extravagance of St Barth is beyond my wildest dreams - a private plunge pool with a view of the ocean!! OMG. 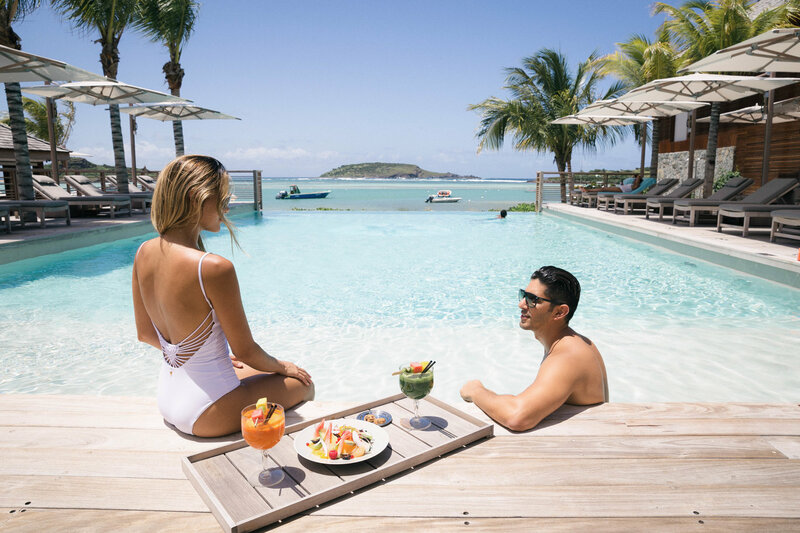 I can see how St Barth is one of the most prestigious islands in the world - I'm thinking I'm going to start dropping brochures around the house as a hint for a second honeymoon :D! This place looks absolutely amazing. I love that our suite had its own outdoor living area and plunge pool. I hope to stay there someday. OMG. The whole place is so beautiful!!! Your own little oasis in the room is totally amazing! Plus the beaches of St. Barth made it all perfect! Wow this place is unreal! Now i just need to find a hot millionaire to take me here on his yacht....a girl can dream!! What a beautiful place and way to spend time away. 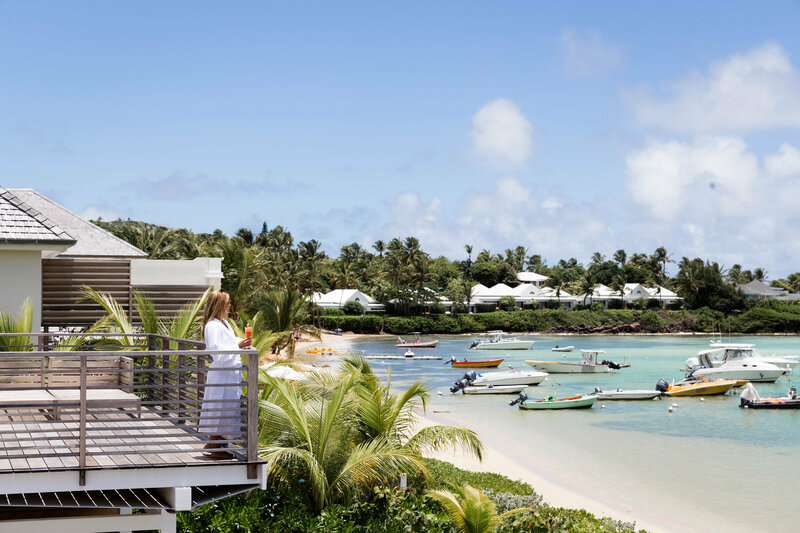 I would love to visit St Barth for a weekend jaunt. It is tops for Rest and Relaxation. Such an elegant island. The hotel accommodation is simply simple but classy looks. The view is perfect, It's refreshing and eliminating stress. And the pool are stunning. This place is absolutely beautiful and totally amazing. seems like a pretty chill place to cool off.pity its super far away. Wow! Beautiful environment! I've always wanted to travel the world. Dubai is my dream destination but I'm adding the Caribbean to my list. Whenever i visit, I'll make sure to spend the night in Le Barthelmy Hotel. Having your own outdoor area is such a luxury! Beautiful pictures! This looks like a place to go. I just put it on my must-see list! Thanks. Awww Claudia! This place looks like like heaven on Earth and it has my wanderlust kicking in all directions! I hope you had an amazing time and that you took home a bagful of lifelong memories! What a breath taking hotel and just steps away from the beach! We were looking into a beach destination for my son's 2nd birthday. 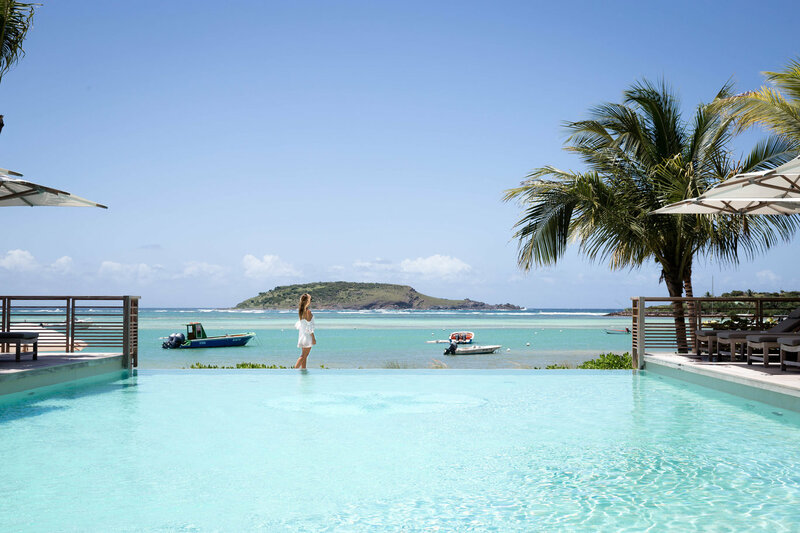 St. Barths just might be it! Wow! Those views are amazing! I'm loving the rooms and the fact that you have a little pool, all to yourself. I'll definitely be adding this place to my list of places to go! Every single one of your photos is magazine quality! It seriously feels like I am reading a prestigious travel magazine and not a travel blog. Simply amazing, Claudia! OMG those pics are absolutely beautiful. You make me want to book a flight now and go there. Wow!! Everything looks incredible! The room, the view, everything. St Barths is def the place to be. The place looks like heaven. Rooms, pool and the views are amazing. I love that retro modern styled suite! I just want to relax in those armchairs after a hard day of lazing around the beautiful pools and the beach! Beautiful location and place! What an incredible adventure. It looks like you are on a private deserted island. Every view is spectacular. Cannot decide if I like the pool or ocean the best. Oh my! Such stunning views! Oh my goodness, now I have a case of wanderlust. I've never been here before but hope to change that one day. That water looks so refreshing on this hot and muggy day. 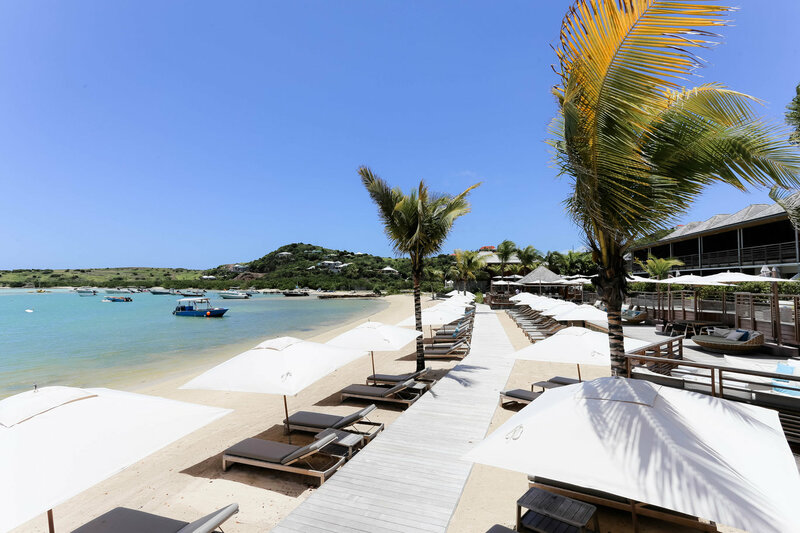 Le Barthelemy Hotel & Spa looks like a complete destination in itself! Your pictures speak for itself how amazing time you had out there! Oh my goodness! What an amazing place. Whilst I am looking for perfect honeymoon destinations, this has just been added to the list! Omg this looks heavenly. 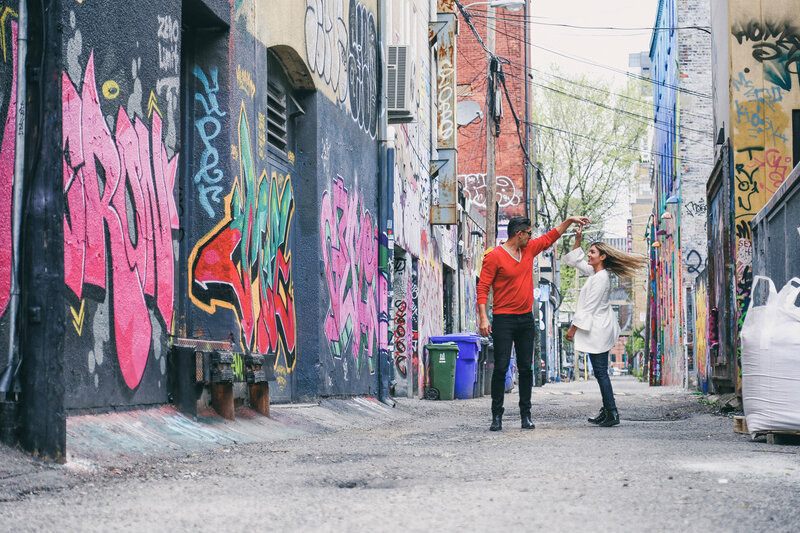 Your pictures are amazing and brings all to life. You must have had heavenly fun wow. I have always wanted to go to St. Barths! Your photos are stunning!! Makes me feel like I'm there with you! This place is something that I would love to stay forever. I love how everything was made here perfectly. The panoramic view of the landscape is really beyond compare. The pool facing the stunning scenery would really makes someone visit really the best of the best. I will surely bear this place in mind and If I get the chance I'll surely visit here. Thank you so much for sharing this with us. Oh, before I forgot, your photos are really stunning. Wow! Le Barthelemy looks like an incredible find. 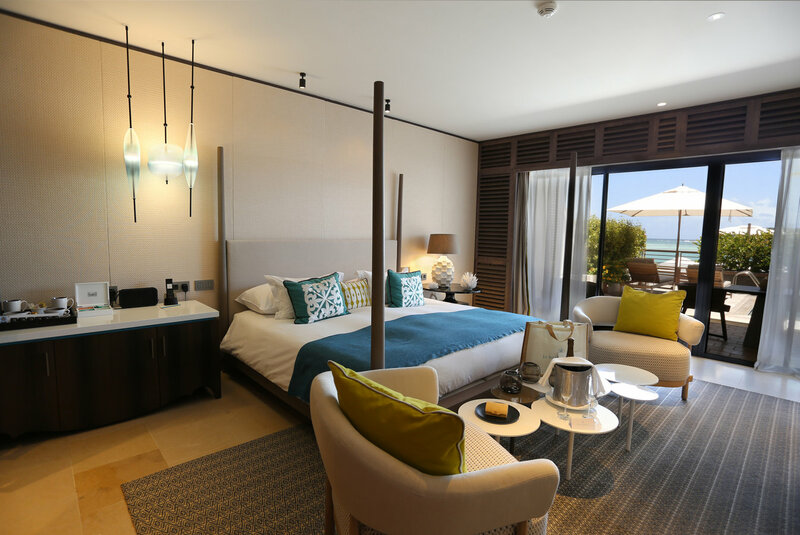 I love how spacious and airy the room was, and I can only dream of trying one of their beach-side villas. The details of the rooms look perfect, and I always prefer to have outdoor space attached to the room, so that's a big thumbs up. And I think you are right in that I would be spending some significant time in that infinity pool! Thanks for sharing! This property is absolutely stunning both indoors and outdoors! I had no idea that St. Barth's had the shortest runway in the world. Makes sense now why they don't have a ton of flights. I love the decor in the bedroom with the bright throw pillows and the spacious bathroom is a huge plus for me! What a beautiful hotel! I love that it's an experience inside and and outside. I love that so many places are getting infinity pools! They're just always so much fun! That oasis in the room is just magical! What a beautiful, beautiful hotel! You have me sold! 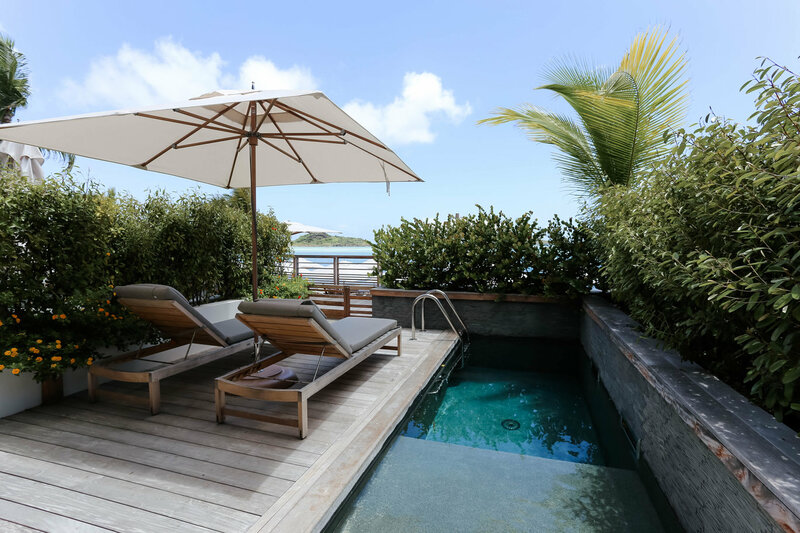 I for one am not a beach destination traveler, but Le Barthelemy entices me with the private plunge pool on the deck, as well as the living area in the room! I love having some soft seating in my hotel space. And that view is absolutely divine! One of the Mughal emperors had uttered these famous words, "If there is paradise on earth, here it is, here it is, here it is!"" Those words seem to ring true and seem so appropriate to this place. Looks like a place that has emerged from the realms of a dream. I am absolutely enamoured by the infinity pool, so enchanting. This make me so home sick.. This reminds me of St.Thomas in many other ways. OMG! 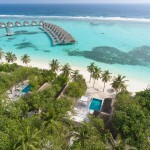 this place is totally amazing and I love the way you have experienced the Luxury and one can do the same! would love visit this someday! Thanks for sharing! Cheers!